Roy hasn't given a timetable, but does plan to reach out to media to discuss allegedly being shot last weekend in California. 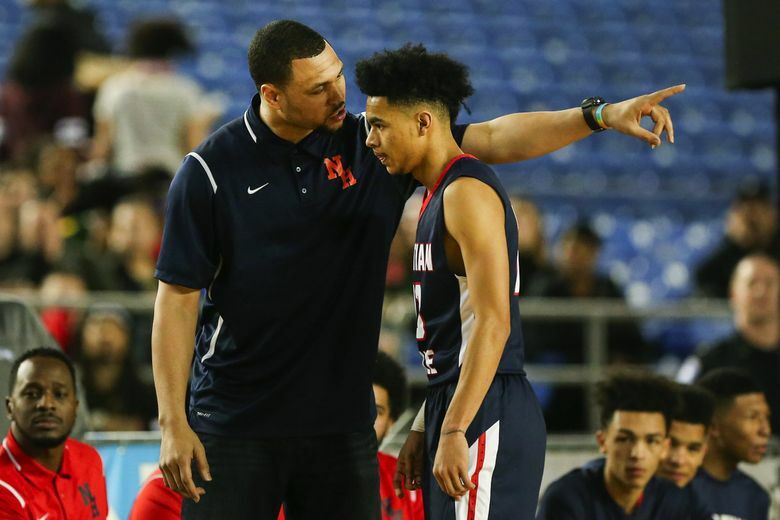 The Nathan Hale boys basketball team was presented a national award Friday, but the focus of the event was on the absence of coach Brandon Roy. Roy reportedly was shot in Compton, Calif., last weekend. Nathan Hale players have disputed the reports, saying Roy wasn’t shot. Raiders assistant coach Jay Von Nickens said he’s spoken to Roy and, declining to confirm or deny the reports, said the former NBA and University of Washington star is in Seattle and doing fine. Nathan Hale assistant coach Lardel Sims, who is Roy’s cousin, was rumored to be with Roy in Compton, but that had not been confirmed or reported when Nickens spoke Friday. Five members of last season’s team were present at Friday’s assembly (Michael Porter Jr. and his two brothers have returned to Missouri), but none was made available to media for comment. The Nathan Hale boys basketball team was presented with the Army National Guard national ranking trophy Friday for finishing No. 1 in the Maxpreps.com national boys basketball rankings. The Raiders finished their season as Class 3A state champions at 29-0 and No. 1 in four of seven national polls.